Alison Thewliss MP, Bill Kidd MSP and Carol Monaghan MP all visited the Rheumatoid Arthritis Pathogenesis Centre of Excellence (RACE), at the University of Glasgow on Friday 9th February, to learn about the impact of arthritis on their local constituents and the current investment in arthritis research across Scotland. The centre, which is funded by charity Arthritis Research UK, aims to investigate both the cause and treatment of rheumatoid arthritis, a condition which affects over 400,000 people in the UK. New research by the charity reveals that nearly 37,000 people in Scotland have rheumatoid arthritis, with 8,000 of those living in Glasgow and Clyde. Arthritis Research UK and Arthritis Care have joined together to do more to help people with arthritis to live full and active lives. Together, they invest in breakthrough treatments, the best information and vital support for everyone affected by arthritis. Rheumatoid arthritis is an autoimmune disease that causes inflammation in the joints, leading to chronic pain and fatigue. Although drug treatments have improved considerably over the years they are not effective in all patients and many still have difficulty getting to work, climbing the stairs and even getting dressed independently. In addition, over one million in Scotland live with back pain, and nearly 700,000 people with osteoarthritis, so the impact of musculoskeletal conditions on society and the economy is considerable, and are the largest single cause of workplace absence in the UK, resulting in 30.8 million working days lost each year. 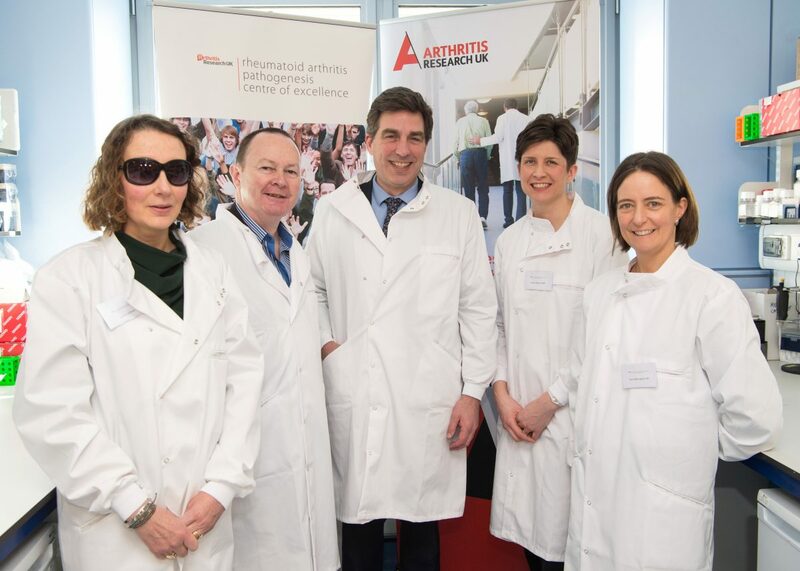 The centre has bought together expertise from universities in Glasgow, Birmingham and Newcastle to explore the underlying causes of rheumatoid arthritis, with researchers focussing on the mechanisms that cause rheumatoid arthritis to start, and why it doesn’t stop. 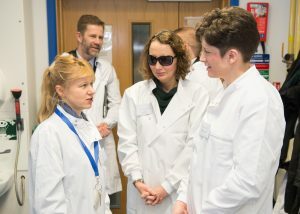 The four party members, whose constituencies are all in Glasgow, were given the opportunity to have a tour of the research labs and meet those who were carrying out research projects into arthritis. “We hope that today’s visit will encourage all parliamentarians to think about the needs of people with arthritis in their local constituency, recognise that arthritis research should be a priority, and take action to ensure that Scotland’s contribution to medical research continues to be supported.